From the pulpit at Westminster Chapel in London, Dr. Martyn Lloyd-Jones set a new standard for faithful and passionate preaching, a standard that continues to be relevant today. In The Passionate Preaching of Martyn Lloyd-Jones, the latest addition to the Long Line of Godly Men series, Dr. Steven J. Lawson introduces us to the life and ministry of a trained physician who sensed an irresistible call to preach. Surrounded by theological liberalism, Lloyd-Jones began a pulpit ministry that would exert profound influence on both sides of the Atlantic. Conclusion: We Want Again Lloyd-Joneses! 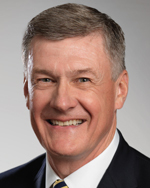 Lee Webb, host of Renewing Your Mind, interviews Steven Lawson about his book The Passionate Preaching of Martyn Lloyd-Jones.